"But I thought IKEA already sold paint." That's how obvious of a brand extension this was. We were tasked to create a brand extension of a well-known brand. I thought of Kulor Paint. IKEA is known for its room style setup, and vibrant colors. But something that really brings IKEA together is their well-placed accent walls that give their interior design setups life. Usually in an array of colors, these accent walls are the final piece to designing any room. And as DIY people would tell you, they always think about color. 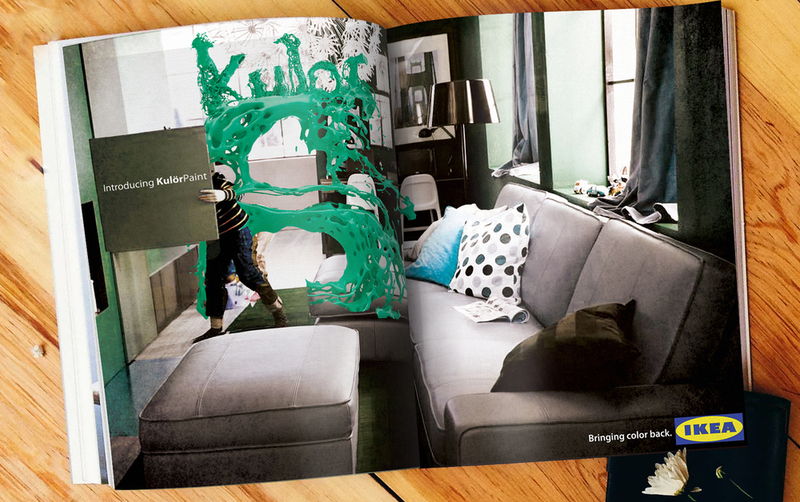 And why would IKEA—known for their design—not offer paint? Since IKEA already has painted accent walls, it would live naturally in-store. IKEA's famous red tags would now be plastered next to these colored walls, with a paint chip inside.